Gear, advice, trail magic, and more. Books about the AT can offer so much to readers. I am 70 days from heading south to start my trek of the Appalachian Trail. I have spent hours upon hours researching, YouTubing, reading, crying, and praying to the rain gods. Anyone who is actually serious about planning a thru-hike knows that it takes a lot of preparation. My preparation all started with a book, and then another, and then another. These were just purchases I made to entertain myself and learn a bit about the AT. I didn’t realize that they would eventually have a large part in helping me make the decisions to thru-hike the AT. 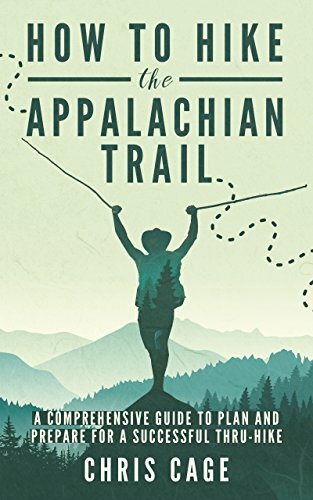 I have read three books from thru-hikers who have completed the AT. I have also heard about many other books. I wanted to share my thoughts on the three books I have read and talk about a few more I’d like to try to read before mid March, when I’ll be living it for myself. I stumbled upon this book, when I first became interested in hiking a two-week portion of the AT. Right before I decided to uproot my entire life and do the whole damn thing. This was an Amazon late night order and I started reading it immediately. This book was a great first book, in my opinion. It told Chris’s story, from his perspective. The book chronicled his experience, with some geography and depth. It was a very easy read, and for a fast reader such as myself I had chipped away at it in a couple hours. At the end there were some really helpful chapters about gear lists, and things that someone may need to know in order to plan their thru-hike. Learn how to budget wisely, save money, and not waste cash. Know how to carve out six months from your family, job, and home. Master a massive gear guide on everything from your spork to your tent. Understand clothing, layering, and materials. Hear about what life is really like on the trail. Know which direction to go, when, and why. Familiarize yourself with a state-by-state breakdown of the trail. Understand the physical demands and methods to prevent injury. Prepare for the nutritional needs with favorite meals and food ideas. Know the real dangers on the AT. This book was a second Amazon-fueled purchase, and after the book above, I needed more. I needed a lot more! This book is over 300 pages of extremely detailed trail life. Kyle spent a lot of time writing this book. He was able to basically provide a mile-by-mile detailed story. I felt like I was along for the hike as every snake, moose, and bear encounter was shared in painful detailing. When Kyle was cold, I felt chills. When Kyle and Katana were soaking wet from powerful rainstorms, I felt the rain. This book, at times, made me feel stressed and scared, because Kyle was true to fact, that thru-hiking is freaking hard, and exhausting. I felt the exhaustion and frustrations right along with them. The way this book ends is truly special for anyone who loves their furry children. I’m very happy I read it! Join Kyle and his little dog Katana as they take you along for every step of their 2,185-mile adventure hiking the entire Appalachian Trail. Confront the terrain, severe weather, injury, dangerous wildlife, and questionable characters as you grow and learn as Kyle did from start to finish of this epic adventure. Make some friends for life, learn the finer points of long-distance hiking, and realize that what you take within your backpack is not nearly as important as what you bring within yourself. Up next is The Trek’s very own Zach Davis. 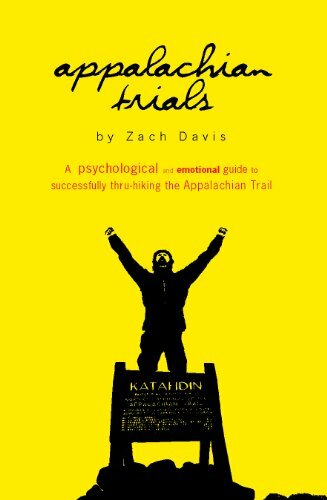 This book was recommended by a bearded, hiker-looking, self-proclaimed friend of Zach. I won’t name any names on who put me on to this book, but I am definitely so happy I read this book. This book was by far my favorite of the three I read, and no, it’s not because I’m currently blogging and vlogging for The Trek. This book starts off with witty banter, and if you know me, witty banter is kind of my thing. It speaks to me. Someone who can approach life and writing with wit and hilarity is OK in my book. This book is really motivational and stresses that you should really enjoy your thru-hike. This was a refreshing viewpoint after reading Kyle’s book, which painted the AT as a daunting and downright tough and challenging experience. I was ready for some lighthearted reading. This book is exactly what the doctor ordered. Goal-setting techniques that will assure hikers reach Mount Katahdin. The common early-stage pitfalls and how to avoid them. How to beat the Virginia Blues. The importance of and meaning behind hiking your own hike. Five strategies for unwavering mental endurance. The most common mistake made in the final stretch of the trail. Tips for enjoying rather than enduring each of the five million steps along the journey. Strategies for avoiding post-trail depression and weight gain. A thorough chapter on gear written by a thru-hiker of the AT and Pacific Crest Trail, and professional backpack gear reviewer. Information about the trail’s greatest and most unknown risk and how to guard against it. Nine tips for saving money before and during your thru-hike. A thorough FAQ section, including information ranging from how to obtain sponsorship, to the best stove for the trail, to avoiding chafing, and much more! So that is as far as I’ve gotten into my reading but I still have 70 days of reading to submerge myself in trail life before actually setting foot on the trail. Here are some other books I plan on reading and why. This will easily be my next book. I cannot wait to read a book written by a woman. Girl power! Carrot Quinn fears that she’s become addicted to the internet. The city makes her feel numb, and she’s having trouble connecting with others. In a desperate move she breaks away from everything to walk 2,660 miles from Mexico to Canada on the Pacific Crest Trail. It will be her first long-distance hike. In the desert of Southern California Carrot faces many challenges, both physical and emotional: pain, injury, blisters, aching cold and searing heat, dehydration, exhaustion, loneliness. In the wilderness she happens upon and becomes close with an eclectic group of strangers—people she wouldn’t have chanced to meet in the “regular world” but who are brought together, here on the trail, by their one common goal: make it to Canada before the snow flies. This is a must read from anyone who knows of the AT. This will most likely be the last book I get to read before my days reach zero and I’m headed south! I also wanted to share two trail guides and which one I am going with. This is the book that I will be taking with me on my AT thru-hike. I initially purchased the book below and will explain below why I purchased it. After being persuaded by an experienced nameless, bearded thru-hiker, this is the book that I will be taking with me. Julia, why are you letting what someone else says persuade you? Well, this guy has spent the last six years hiking as a lifestyle, and when someone with that level of experience gives advice, Julia listens. 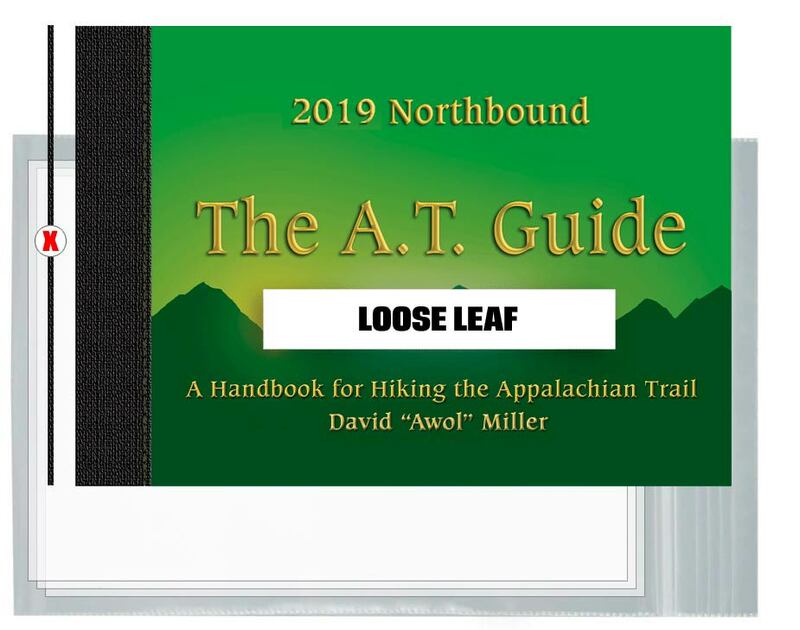 The A.T. Guide is the guidebook of choice for hikes of any length on the Appalachian Trail. The book contains thousands of landmarks such as campsites, water sources, summits, and gaps. The trail’s elevation profile is included and every landmark is aligned to the profile. Hikers using this guide know where they are on the trail, what views, streams, and campsites are ahead, and whether they’ll be hiking uphill or downhill to get there. The A.T. Guide answers all of your questions about how to get rides, where to stay, and where to get supplies. I initially picked up this book and leafed through it, deciding that this book was perfect. Why was it perfect? Because the AT runs north to south and the book shows the trail vertically on the page. This was the only deciding factor for me. It still looks like an amazing resource and I hope that anyone who has used it can comment below with how great it is. With professionally crafted elevation profiles for all 2,192 miles, almost 50 maps, and detailed tables for more at-a-glance information on-trail and links to hiking maps. Still the only such guide written by volunteers for which all the proceeds are returned to the trail by these two nonprofits. 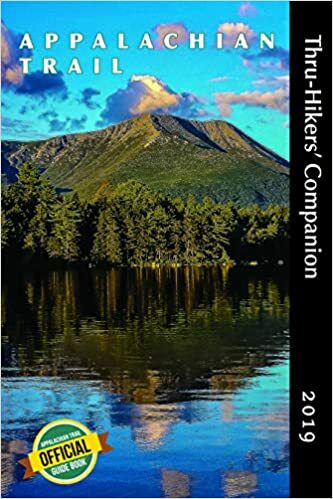 The Appalachian Trail Conservancy and the Appalachian Long Distance Hikers Association collaborate each year on a guide especially designed for potential thru-hikers who want the basic information for a five- to six-month trek in the woods, at a reasonable price, but also want the adventure of finding out the extras for themselves. A favorite of section hikers, too. With fact-checking research by more than three dozen thru-hiker volunteers in 14 states, backed by the firsthand information of the trail’s volunteer and staff maintainers and managers and extensive information from the 2019 Appalachian Trail Data Book. Equipment makers’ toll-free numbers, post office hours, much more is included. Guthook guides help you get to the places you’ve dreamed of. Explore the most popular hiking and biking trails around the world with your own personal handheld trail guide. Each guide works completely offline, even in airplane mode. It uses your mobile device’s internal GPS to display your location and guide you along the trail, no matter where you are. Whether you go on a day hike, section hike, or thru-hike, Guthook guides will help you find your way without getting lost on the trail. The majority of thru-hikers use our app on America’s Triple Crown trails: the Appalachian Trail, Pacific Crest Trail, and Continental Divide Trail. Guthook guides has your adventure covered with detailed maps showing your exact GPS location, thousands of miles of trail routes, and over 10,000 waypoint details. All of the data for our trails is collected by trusted individuals and partners, and is kept up to date. Let Guthook guide your next adventure! –Works offline, no data or internet required after initial setup. –Detailed maps, including GPS location, detailed routes, and waypoints. –Elevation profile view to see when your next big climb is. –Create your own custom route to plan your trip with the route builder tool. –Stay informed by reading real-time waypoint comments by other hikers and leave your own. –Keep your friends and family up to date by sharing your current location via email or text. –Choose from multiple offline map sets.Works offline, no data or internet required after initial setup. –Choose from multiple offline map sets. –Waypoints are plotted on the main trail, approach trails, side trails, and elevation profile. –View waypoint details and photos with up to date comments left by other hikers. –Waypoints include: water sources, shelters, campsites, road crossings, trailheads, junctions, viewpoints, peaks, parking, and many others. –Town guides include: accommodation, restaurants, resupply, laundry, post offices, shops, historical sites, and more. And a review. This review was written by The Trek’s very own Terry Gandy. Check it out for more information. Anyway, I hope you were able to get some good info and reviews, and I was able to help you figure out which book may be right for you. 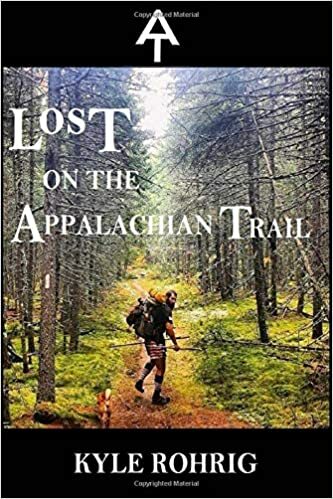 Skip “Walk in the Woods” too preachy for me and pick up ” Where’s the Next Shelter” by Gary Sizer, very funny actual tales from someone who actually thru-hiked the AT and has a great podcast on THETREK.CO or anything by Jennifer Phar Davis! A Walk in the Woods is a good book, except for his impressions of Southerners. Well, at least the first section until he and Katz get off the trail and take a break is good. It’s funny, provides some history of the trail, and some information about how the area around the trail has been damaged (I guess that’s the preachy part…but it’s also true). The book is written based on a hike done in 1996 so a lot of the stats (and weights), and locations are way off…and don’t let his (somewhat unfounded) bear-phobia infect you. As a fellow reader, I love this list!!! I can’t wait to devour them soon. 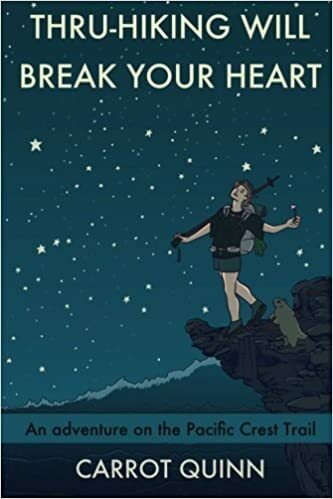 I’m taking the AWOL guide with me as well and I LOVED Thru Hiking Will Break Your Heart. I can’t wait to hear what you think about it. This old guy reads books, 70 plus AT books, some are forgettable, some lose value as the years pass, books that tell stories about hiking are the best, love scenes usually fail me, talk about hiking & you’ve got me. J.P. Davis, Becoming Odyessa by a women with a scene I never saw coming, is one I do remember, this person is a hiker. AS FAR AS THE EYE CAN SEE by David Brill. Very good read about a thru hike in the 70’s. Only book that I e read that made me feel like I was also on his hike.